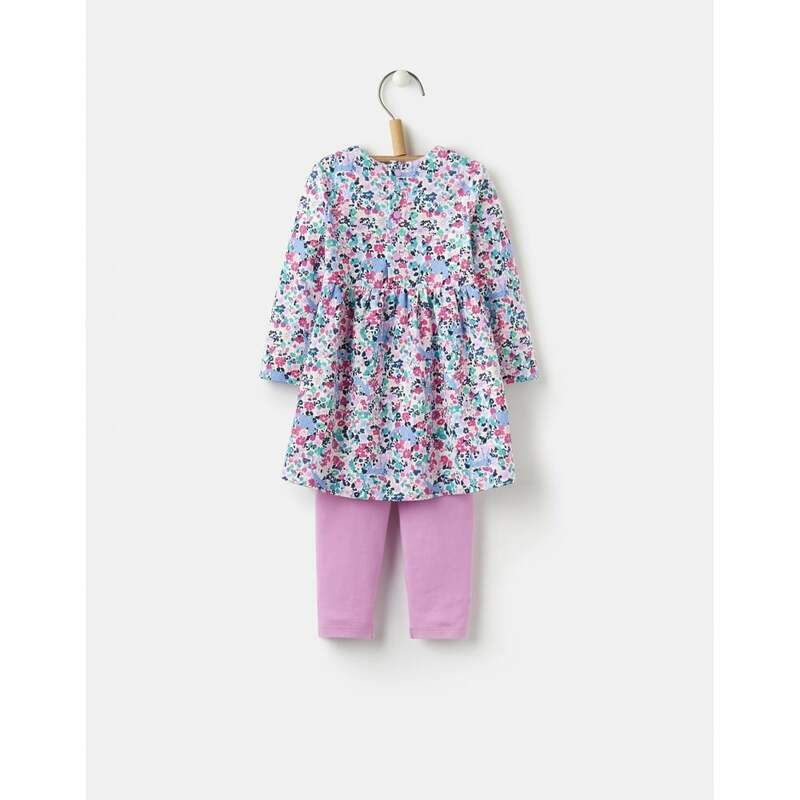 An adorable dress and leggings set, every little miss needs one of these in their wardrobe. This really is the perfect set for casual or occasions, the dress features long sleeves and a round neck making it super comfortable. Popper fastenings mean it is easy to get on and easy to get off!